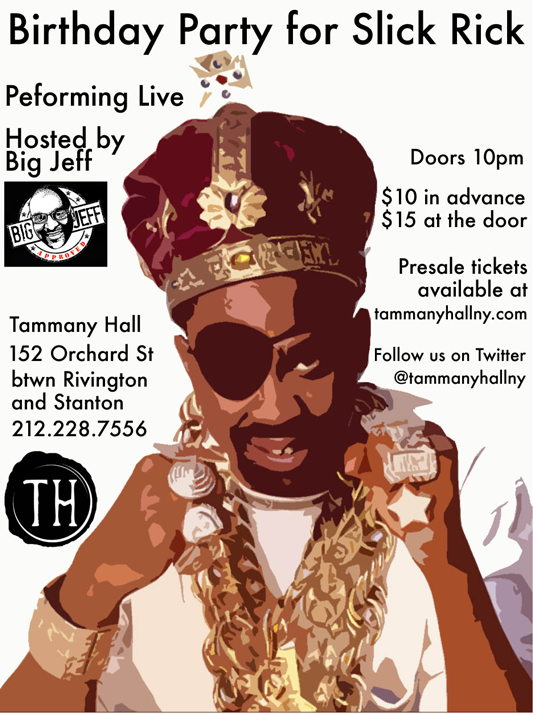 Come celebrate Slick Rick’s birthday party in 2012 at Tammany Hall w/ Big Jeff, Slick Rick and many other party people! 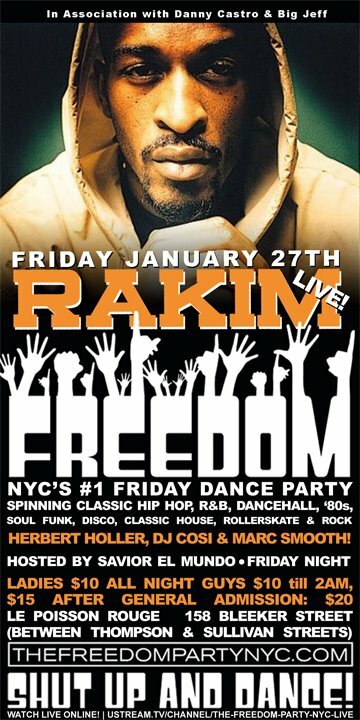 La-Di-Da-Di – we like to party! 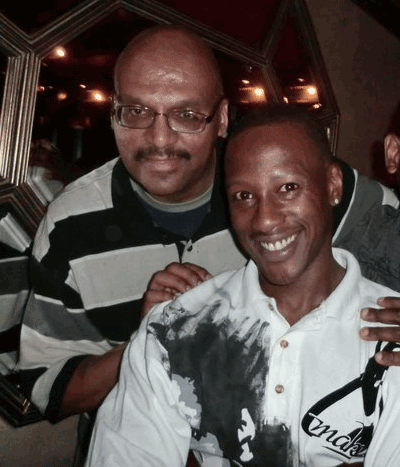 We don’t cause trouble – we don’t bother nobody! 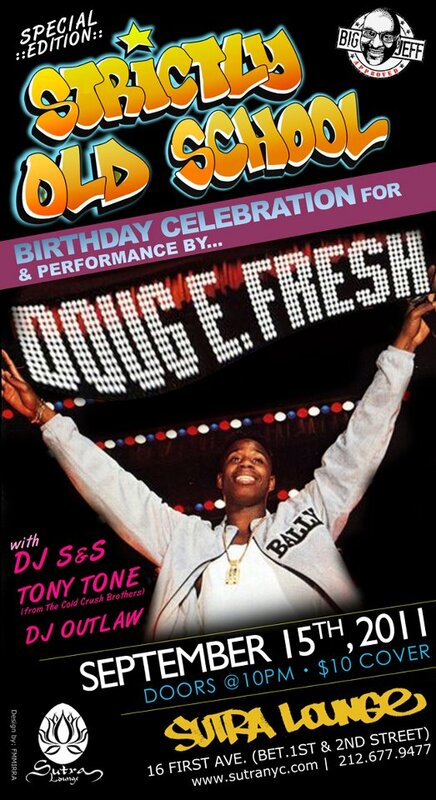 Where: Tammany Hall, 152 Orchard St.
Born Day Bash! 4 the Legendary Awesome 2. 16 1st ave between 1st and 2nd street. 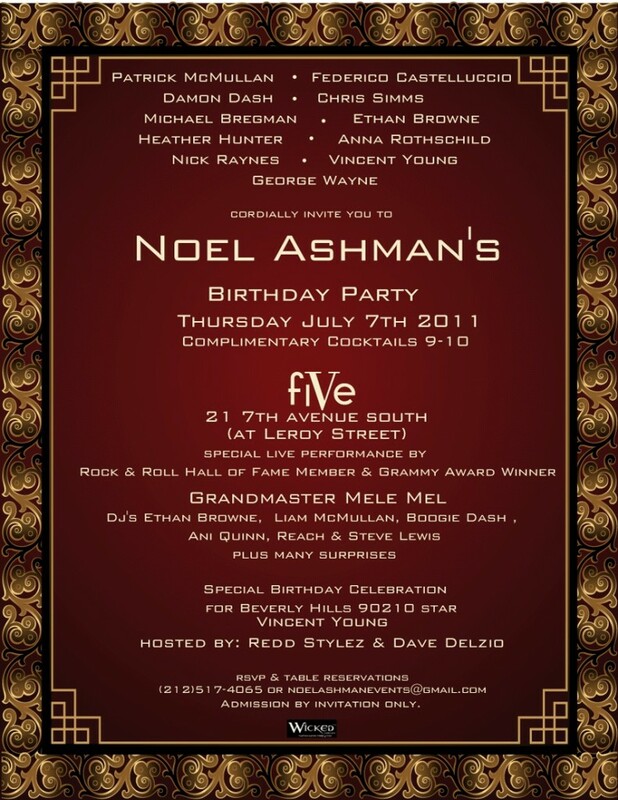 Music by Special K, Teddy Ted and more!!! 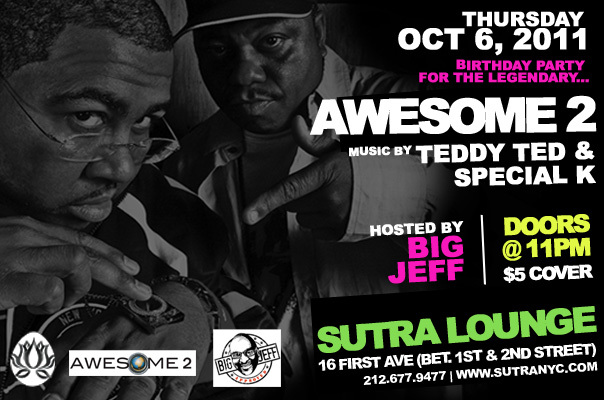 Big Jeff Productions would like to announce the latest in the Strictly Old School (SOS) series at Sutra Lounge. 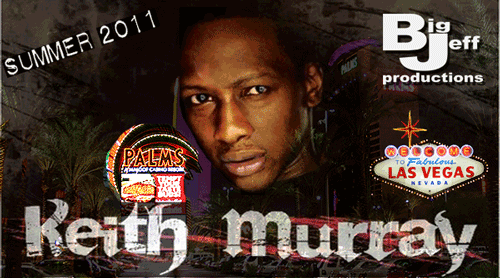 The next event is Thursday, September 15th, 2011 and will feature Doug E. Fresh. 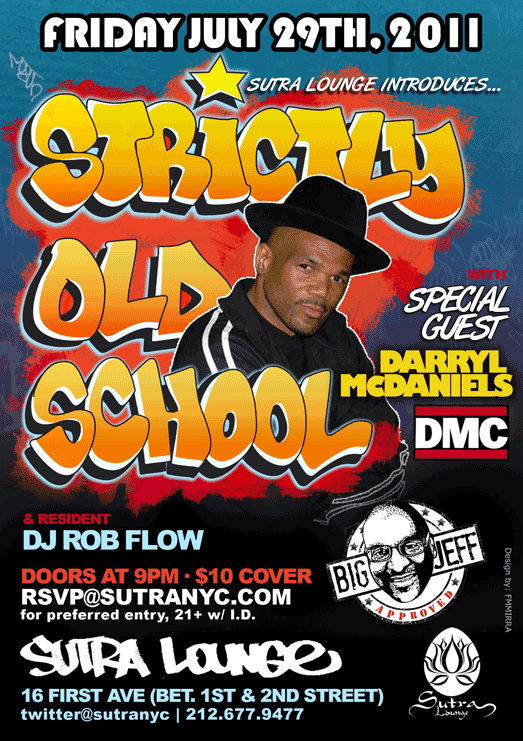 Big Jeff Productions would like to announce the Launch of Strictly Old School (SOS) at Sutra Lounge. SOS will feature Old School artists. 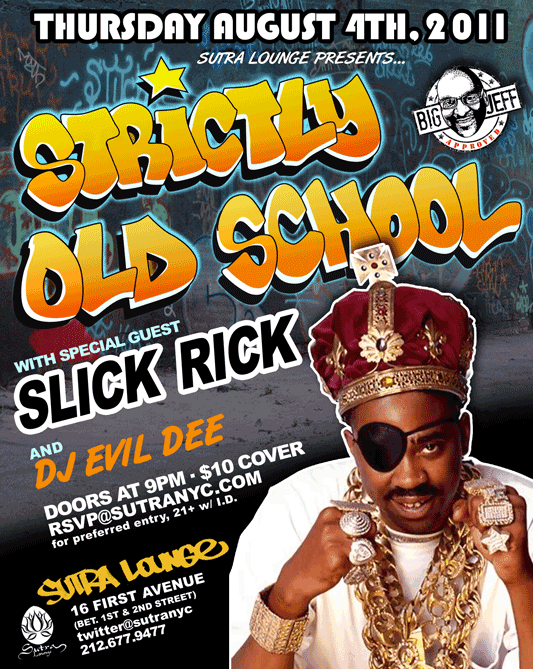 The next event is Thursday, August 4th, 2011 and will feature Slick Rick. SOS will feature Old School artists. 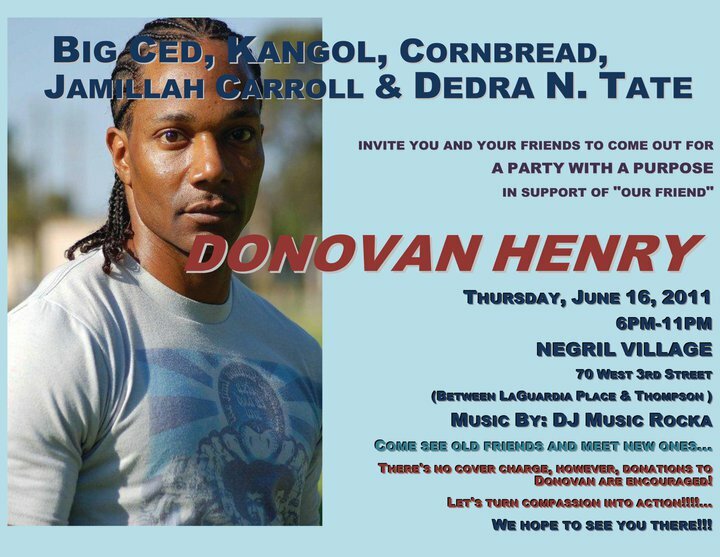 The first event is Friday, July 29th, 2011 and will feature Darryl McDaniels (DMC). 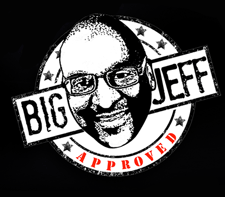 The next event is scheduled for Friday, August 5th and will feature Slick Rick.